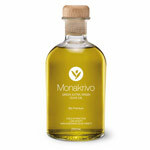 Olive oil is a staple part of the Cretan or Mediterranean diet. Long before the rest of the world discovered its healthy benefits, the long-living Cretans were among olive oil’s heaviest consumers. Olive oil is used for dressing salads and daily cooking needs. It is also consumed on its own, on warm toasted bread sprinkled with fresh oregano. D e l i c i o u s .
Olive oil is a healthy substitute for other cooking fats and oils, since it is high in monounsaturates and retains its nutritional values better at high temperatures. A fresh, superior quality extra virgin olive oil is truly a superfood, rich in vitamins and antioxidants. Vassilakis Estate extra virgin and organic extra virgin olive oils are produced exclusively from the first cold pressing of the Koroneiki olive variety, a small, aromatic, late-ripening olive. 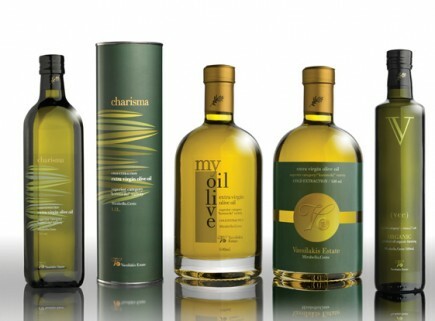 The advantages of Vassilakis Estate extra virgin olive oils: high standards, traceability and consistency. The two worst enemies of olive oil are oxygen and light. The more time elapses between harvesting and pressing the more oxidation occurs, acidity rises and nutritional values deteriorate. Vassilakis Estate olives are harvested when perfectly ripe, between November and March of each year, and the oil is cold-extracted on-site the same day, using state-of-the-art, two-phase Westphalia decanters. Acidity level, a quality indicator, is kept below 0.25 – 0.5%. This process best preserves the oil’s subtle flavour and nutritional characteristics. Extraction temperature: under 27 Celsius (Cold Extraction). assilakis Estate:a modern family business, with local ties going back four generations specializing in superior quality extra virgin & organic extra virgin olive oil. The 220,000m2 Vassilakis Estate is characterized by stony limestone and soil and uneven hilly terrain near to the sea, alternating with shallow valleys.Vassilakis Estate olive trees have always been cultivated with traditional low-density methods, hand-pruned and carefully hand-harvested to avoid bruising. All these factors contribute to the very high quality and taste of Vassilakis Estate extra virgin and organic extra virgin olive oils.